Although there was little justification for the scare-mongering, the hysteria was enough to spur the passage of the Johnson-Reed Act of 1924, which put a halt to the inflow of immigrants without visas. Fears began to dissipate. The 1927 execution of Niccola Sacco and Bartolomeo Vanzetti, Italian-born anarchist immigrants accused of murder on doubtful evidence, marked the high tide of the irrational anti-red (and mostly anti-foreigner) hysteria in American life. Ironically, it was around this time that real dangers actually began to emerge. But, having cried wolf once too often, doomsayers then faced an uphill task through the ‘30s trying to convince the government and the American public that Communist threats of any kind actually existed. Initially the civilian branch of Soviet intelligence—OGPU, then NKVD—had little luck recruiting American spies. Yuri Markin (codename Oskar), the illegal “rezident”—as the Russians called their station chiefs—from from 1932-1934, was murdered by persons unknown, the victim of a violent encounter in a New York bar. His replacement, Boris Bazarov (codenames, Kin, Da Vinci, Nord), worked in tandem with the ‘legal’ rezident (who was under diplomatic cover), Pyotr Guttseit (codename Nikolai). He had much better luck, including recruiting sources with direct access to the State Department and one connected to President Franklin Roosevelt’s inner circle. But the successful spy was recalled to Moscow in 1937, where he became a victim of Stalin’s paranoid purge of those seen as connected to foreigners (mass executions that included even George Kennan’s dentist at the American embassy). His successor, Ishak Akhmerov (codename Yung), took over and married a distant relative of Communist Party chief Earl Browder. Browder himself ensured that ties to Soviet intelligence became indistinguishable from Party work; his wife, Kitty (‘Gipsy’) Harris, worked for the Soviets and assisted (and slept with) their British spy Donald Maclean in London and then Paris in the late ‘30s. The most successful operation at that time, however, came from a group of covert operatives organized by the American agriculturalist Harold Ware. The ring included Alger Hiss, Donald, and other federal officials who were convinced that the need to confront the threat from fascism eclipsed all other loyalties. They believed that the road to socialism was inevitable, and that the socialist-leaning policies of Roosevelt’s New Deal were merely the taste of things to come. This operation came under Soviet military intelligence, known as the Fourth Directorate, the NKVD’s main rival. Although their infiltration went deep, none of it added up to much—it was simply ‘music of the future’. The stakes were raised, however, when the U.S. entered WWII in December 1941—and the Americans joined the British to develop the atomic bomb. Soviet focus on scientific and industrial intelligence (NTR), which had its own section within the NKVD, switched abruptly from London to Washington. Though intelligence boss Lavrenty Beria dragged his feet on the issue, the NTR foresaw the significant role the bomb would play and pushed it to the forefront of their priorities. Once the directive was set by Stalin in 1942, Soviet efforts knew no limits. Operation Enormoz, directed at uncovering the secret of atomic bomb construction, took high priority. The Kremlin was looking ahead to the aftermath of war. The balance of power could ultimately depend who had the bomb. And those who volunteered for the cause were putting their lives at risk, as they were soon to find out. The American authorities had absolutely no idea what the Russians were up to until very late in the game. Good liberals scoffed at the idea that Moscow could be spying on a wartime ally, even as some of their best friends were actually secret members of the Communist Party and spies for Russia. The Roosevelt administration declined to follow up on tips about suspected infiltration. It wasn’t until the very public defection of a Soviet Embassy cipher clerk, who snuck out documentation showing the magnitude of Soviet atomic espionage that had been going on, that the issue finally came to a head. Soviet spy networks were quickly rooted out. The consequences proved cataclysmic for Americans caught serving the Communist cause. 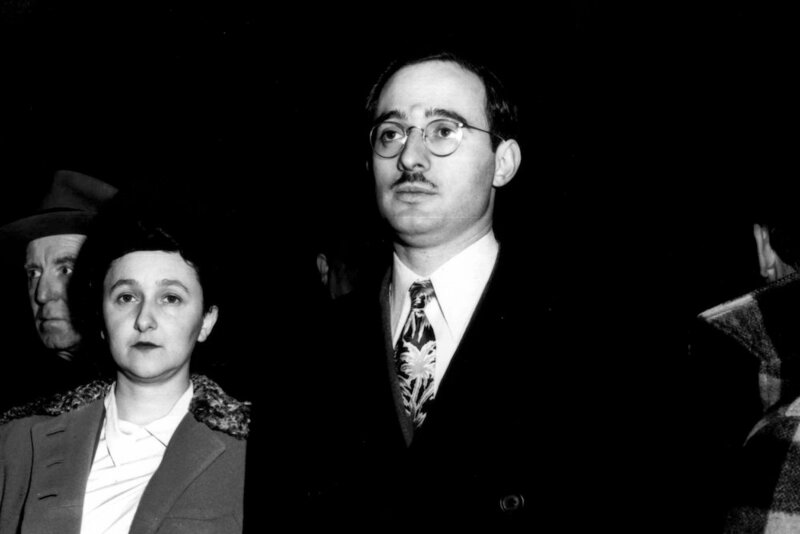 Among those swept up were Julius Rosenberg, an engineer who handed Moscow classified information about the U.S. atomic program, and his wife Ethel (against whom there was little solid evidence). By the early 1950s, when the Rosenbergs were executed, Washington was again gripped with widespread hysteria about Communist penetration of American society and government. Though the Russians did have dramatic success in penetrating both the FBI and CIA in the 1980s, it didn’t impact the American psyche as they would have two decades earlier. Yes, they were serious security lapses, but they involved lone, disaffected or greedy double agents like Aldrich Ames or Robert Hanssen. There was nothing idealistic, nothing connected to a larger Soviet appeal, in their betrayal. By the 1980s, the issue of socialism in American political life had become completely divorced from the issue of relations with the Soviet Union. And as the USSR dissolved from within and came to an end in 1992, the long dark shadow it cast over America finally passed forever. Even when revelations of post-Soviet Russian spying reemerged in more recent years; most Americans just shrugged their shoulders, or met the news with a nostalgic chuckle and a mention of the good old Cold War days. Other challenges, most prominently 9/11 and Islamic fundamentalist terrorism, had reconnected domestic internal security concerns with international relations in an even more dramatic manner. And as the generations move on, distant memories grossly exaggerated fears recede from our shared consciousness. Jonathan Haslam is the George F. Kennan Professor, School of Historical Studies, Institute for Advanced Study, Princeton, and author of Near and Distant Neighbors: A New History of Soviet Intelligence (Farrar, Straus and Giroux, 2015).